How are you doing on your attempts to write at least fifteen minutes every day? What is hard? What is harder? Did you have any unexpected resistance, either inside yourself or from the Universe at large? I am a huge fan of New Year’s resolutions. I know that when I write things down, it helps to focus my attention toward the goals I am trying to achieve. What most people forget to do, though, is to add a degree of accountability to the process. 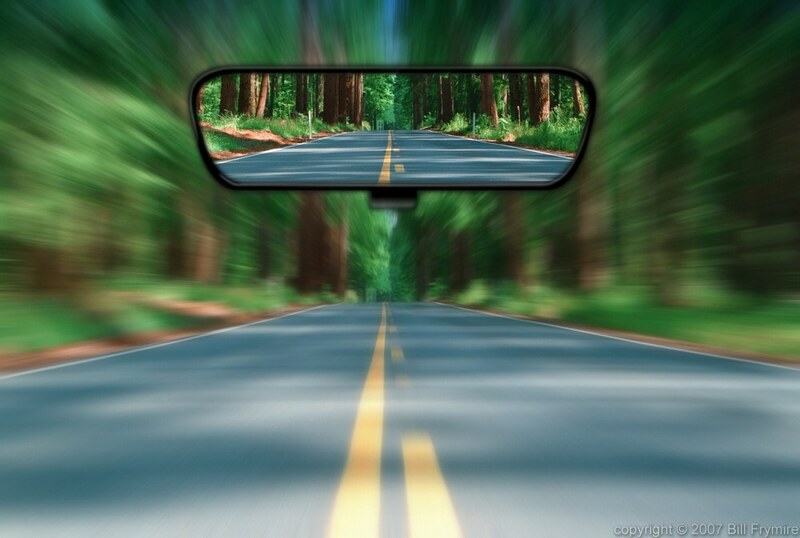 They are so busy moving forward, accelerator smashed down as far as it will go, that they forget to look behind them and take stock of where they’ve been. And they wonder why they don’t learn anything! Ready… Think about the reward that you deserve for writing this week. Then make plans to actually give yourself that reward in the next 24 hours. Do not punish yourself for the missed days. Reward yourself for the days when you made the time and took the plunge into writing. Today’s prompt: Pretend it is fifteen minutes to midnight on December 31, 2010. (Pour champagne if it will help evoke the proper atmosphere. Just don’t drive anywhere!) You have fifteen minutes to write out your writing intentions for 2011. Don’t worry about the first half of the year; it will probably go by in a blur anyway. Start your writing intentions on a random date…. say, August 8th! Write your Big Picture goals for the end of 2011, and smaller goals that you think you can accomplish within each month. Be sure to mark on your calender Check-In Days at the end of each month where you can look back at what you did and did not accomplish. You’ll also adjust your goals accordingly on the Check-In Days. Set a scene with your main character on New Year’s Eve three years AFTER the time period in which you set his story. What in the scene will trigger his memories of that time period? How will the events of the story look different to him after three years? How do you imagine he might grow in that time span? One thing that keeps haunting me as I do this challenge is the desire to make it all happen at once. One part of me is thinking, ‘take this one step at a time…little by little’. Another part of me is jumping up and down and throwing a tantrum screaming about HOW SHE WANTS TO DO IT ALL RIGHT NOW! It’s that part of me that usually sabotages my writing attempts. Does that ever go away? I’m not sure that that “I want it all and I want it now” voice ever goes completely away, but it helps when she sees the little steps paying off, whether it’s in number of words written or that sense of growing ever more connected to your story. Because once that tantrum-throwing toddler sees how good either of those things feel, she starts to want more of those good things, and is willing to be a little bit patient. At least, that’s the way my inner two-year-old wanna-wanna works. Is it ok to keep working on the challenge from the day before? I like this post a lot. I sometimes get so caught up with the things I haven’t achieved since this time last year (with regards to writing and otherwise) that I often forget to acknowledge how much progress I’ve made. I might try both of these prompts – the second one especially will be exciting as in one of my WIPs my main character goes to a New Year’s Eve party and complications ensue, so I’m really interested to see how she reacts. Thanks for the permission to celebrate despite days missed. SCBWI threw my writing off schedule…but listening to your talk was so worth it…seriously. The perfect ending to the conference. I meant it when I told you that you saved my student’s life with Wintergirls. And these assignments are definitely bringing life to my writing. The seed spins, whirrs, plumps, and sprouts (to paraphrase one of my favorite authors…LHA) Thanks, Laurie. Can’t wait to see what tomorrow’s prompt brings.